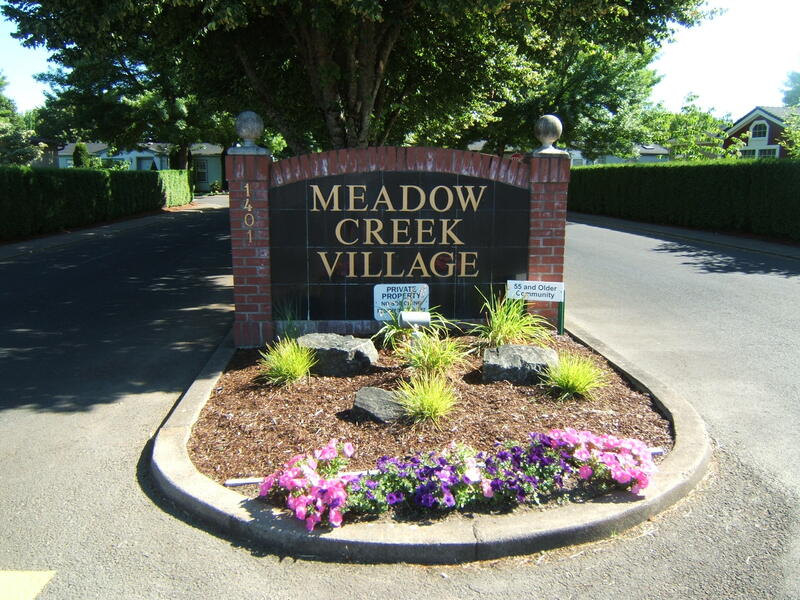 Nestled in the base of the coast range, Meadow Creek Village offers a private community atmosphere in a picturesque rural setting. A city park and the tree-lined bank of a year-round creek border the village. Salem is a quick 15 minute commute and 40 minutes away is the Oregon coast. You’ll love the quiet livability, the convenient location and the beauty of the area. Most of all you’ll love the design of Meadow Creek Village and all the features that make this a neighborhood you’ll love to come home to. Take a virtual tour of our beautiful park here or check out our newsletter to see what is happening. If you have any questions, comments, or are interested in living in Meadow Creek Village you can get a hold of the park manager here. 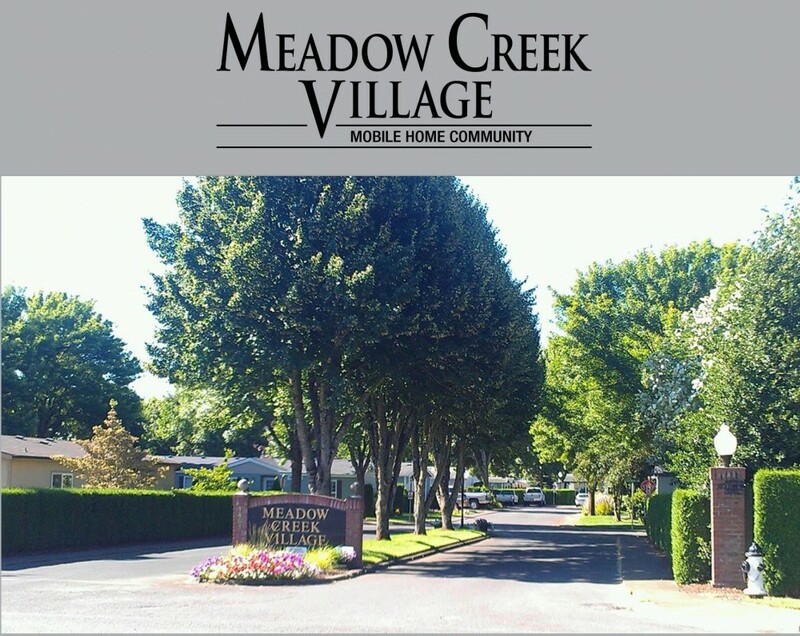 Meadow Creek Village is a proud member of the Manufactured Housing Communities of Oregon. Do you have any currant rentals? Our community is home owners only, we do not have rentals. Are there currently homes available for purchase and what are the requirements to be accepted by management to be accepted into the park? Please feel free to contact us for the screening criteria. Thank you ! I understand this is leased land. Do you mind telling me when the lease is up and if there is a chance the lease will be renewed? The property is owned however the spaces are rented with owned homes. We do not have anything available at this time. Availability happens when a home goes up for sale by current home owner. Does this community allow pets? When a home does come available for purchase what is the average price? Yes we are pet friendly there are size and breed restrictions without reasonable accommodations. Please call or stop by and we will gladly discuss going rates for homes as they have come available. How much is the park rent and is this a senior park 55+ ? Yes our community is 55+ park please give us a call or stop by so we can discuss park rent and what it entails. Is it a 55 plus park?